Is USHUD.com the same as HUD? I want more information/pictures on a property, whom do I contact? I have not heard anything on my prequalification. What happened? I heard there are grants (programs/assistance). Can you help me? I need a house now! Can you help? There isn't an expert (agent or lender) in my area. Whom do I contact? I saw a property on another site. I can't find it on USHUD.com. Is it available? I saw a sign on a house in my neighborhood. Is it available? I contacted an expert and the house I saw on your site is already sold. How come it is still listed on USHUD.com? I don't want to give any information to you, how do I get to the properties? Can you send me a list of the properties in my area? I only want properties in (zip code/city). How can I get that? My situation is unique. How do I get answers? Is USHUD.com the same as HUD? Are you the government? No. USHUD.com is a private company not affiliated, endorsed, authorized, or licensed by the US Department of Housing and Urban Development. You can find the HUD Government agency website at www.HUD.gov. You will need to contact a REALTOR in your area for detailed information on a property. They have access to public records, and to complete listing information that is not provided to us. USHUD.com recommends a lender in most parts of the country. There are just too many properties for us to keep track of individually nationwide. As for pictures, the average foreclosure is on the market for 10 days. Since we operate nationwide, the fastest guarantee we could get for pictures was 2 weeks. We did not want to pay for pictures of sold properties so we do not provide photos unless the agency provides them to us. In most cases, the expert Agent and Lender are swamped. In the confirmation Email you received from USHUD.com is the name of the Experts processing your Prequalification form. Email them directly or go back to USHUD.com and call the number on their banner. Ask them about your form, usually they will move you to a higher priority. We are sorry, no. USHUD.com is not the government (see above) and we have no programs that we provide. Look on the HUD Government site for more information on this topic. Yes. BUT, you must be prequalified (takes about 2 days). You must have enough money for a downpayment (about 3% the cost of the home). And you must be prepared to do everything that your expert agent and expert lender tell you to do. It is possible to bid, sign a contract, get financing, and close the sale of a HUD home in about 3 weeks. However, that assumes that everything goes perfectly (which it rarely does). If you desperately need a place to live, and you have less than 60 days, your best bet is to find a place to rent for the next 2-3 months while you buy a home. This is a toughie. We have about 80% of the major metro areas in the US covered. However there are still some rural areas we have yet to fill. 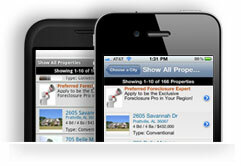 Look for major cities near you and see if USHUD.com has an agent or lender there. Call your bank and ask if they can recommend a Real Estate Agent. Look on Realtor.com for an agent in your area. If you fill out a prequalification form for an area with no agent or no lender, we attempt to find an agent or lender for you, but after 3 days, the application is dismissed. USHUD.com has a co-branding arrangement with a number of other Real Estate sites. Homes.com, Yahoo Classified, CyberHomes, and others all get data from USHUD.com roughly every 7-14 days. USHUD.com updates directly from HUD, VA, Fannie Mae, Freddie Mac, and others at least twice a day every day. Foreclosures sell fast. If one of our partners is slow to update their information it looks like a property is missing, when in fact it is already sold. USHUD.com is the best source of accurate data. Maybe. HUD and VA foreclosures have a sign posted in them when they are repossessed. However, the inspection, title, and repair issues may take anywhere from a few months to several years to complete. USHUD.com's Email Alert will notify you of properties the instant they are made available. This is easier than driving by the house every day to see if it is sold. Note this is a "typical" schedule and is subject to change without notice from time to time. If you do not fill out the prequalification form, you can still view property details. Merely click the submit button on the form without filling in any info. No. It's all free, it's easy to use, please help yourself to as much information as you want to see. We just do not have the time it takes to answer all of these requests. If you are having problems getting to the property lists, let us know and we will see what we can do. 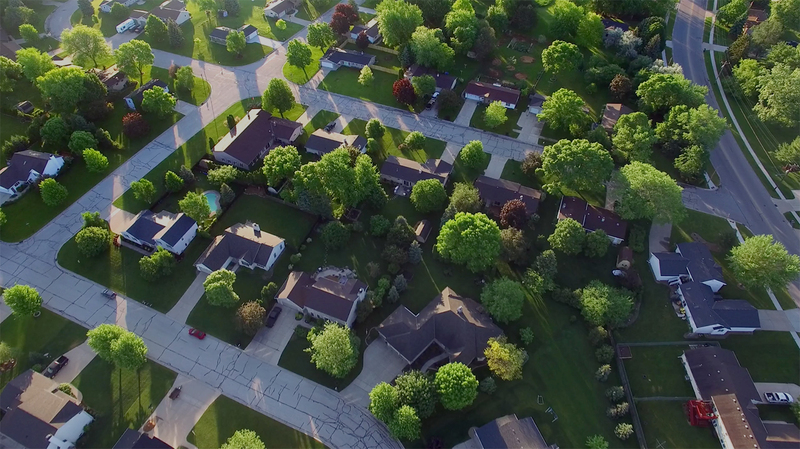 You can do an Advanced Search for zip codes, partial addresses, or all the properties in a particular county. Use the checkboxes on the lists of cities to narrow you search if you get too many properties. If you do not see a particular city, then there are no properties in that city currently. 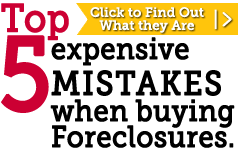 We have been working with foreclosures for over 15 years. Contact us and we will see what we can do. As a first time buyer, an investor, a real estate agent, a loan officer, a title company, an appraiser, an insurance agent and yes even a plumber or home improvement contractor, USHUD.com exists to help YOU. The USHUD.com network is a an unique opportunity for local real estate related professionals to reach out in a high profile and professional manner to offer their services to their local markets.